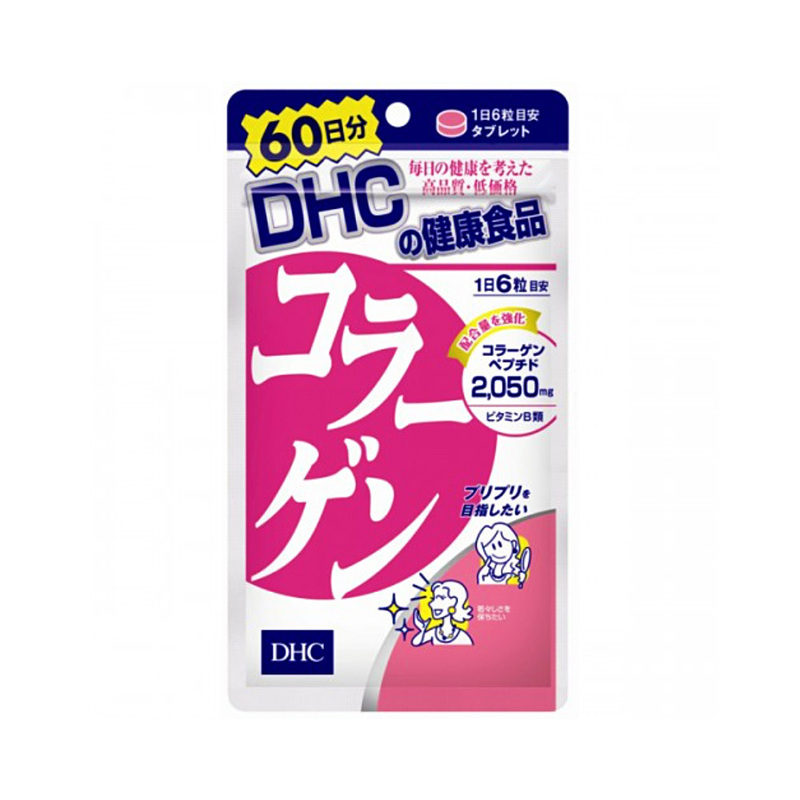 DHC Collagen contains a high concentration of collagen peptide, a type of collagen which is easy for the body to absorb. The small round tablets are easy to take; take them everyday for a healthy and more beautiful you! Function : Collagen is a type of protein to which amino acids are bound. Approximately 70% of the dermis, which is the source of elasticity and elasticity, is made of collagen, accounting for about one-third of the total protein content. DHC's "collagen" strengthens its function by incorporating vitamin B1, B2, which supports beauty, to collagen peptide derived from fish. It is useful for youthful skin and texture, and it supports fresh and supple beauty. How to Use : Take 6 tablet maximum in a day,either in morning or night,can be taking after meal or before meal. * if you are pregnancy, breast feeding please consult with your doctor before taking this product.